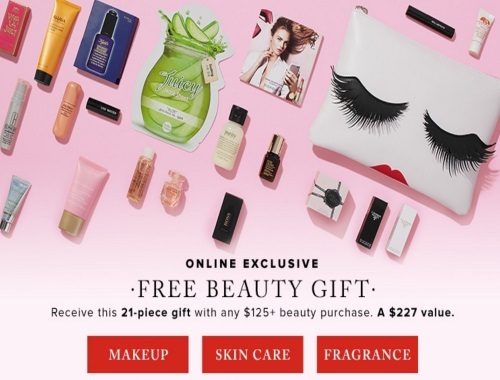 Hudson's Bay has a new Free Beauty Gift when you spend $125 or more on beauty! This includes a 21 piece gift (a $227 value). The gift will be added at checkout. Gift includes a cute makeup bag and deluxe samples from brands such as Kiehls, Estee Lauder, Clarins, and more. This gift is exclusively online only, while quantities last.